The new report, ?Connexios Life Sciences Pvt. Ltd. - Product Pipeline Review - 2016’, provides an overview of the Connexios Life Sciences Pvt. 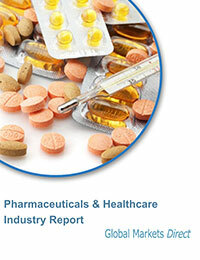 Ltd.’s pharmaceutical research and development focus. The report provides comprehensive information on the therapeutics under development by Connexios Life Sciences Pvt. Ltd., complete with analysis by stage of development, drug target, mechanism of action (MoA), route of administration (RoA) and molecule type. The report also covers the descriptive pharmacological action of the therapeutics, its complete research and development history and the dormant and discontinued projects. The report provides a snapshot of the pipeline therapeutic landscape of Connexios Life Sciences Pvt. Ltd.
Identify and understand important and diverse types of therapeutics under development for Connexios Life Sciences Pvt. Ltd.